To properly understand the nature of the digital economy we need to investigate the phenomenon of a "ubiquitous computing system" (UCS). As defined by Robin Milner, this notion implies the following characteristics: (i) it will continually make decisions hitherto made by us; (ii) it will be vast, maybe 100 times today’s systems; (iii) it must continually adapt, on-line, to new requirements; and, (iv) individual UCSs will interact with one another. This book argues that neoclassical approaches to modelling economic behaviour based on optimal control by "representative-agents" are ill-suited to a world typified by concurrency, decentralized control, and interaction. To this end, it argues for the development of new, process-based approaches to analysis, modelling, and simulation. 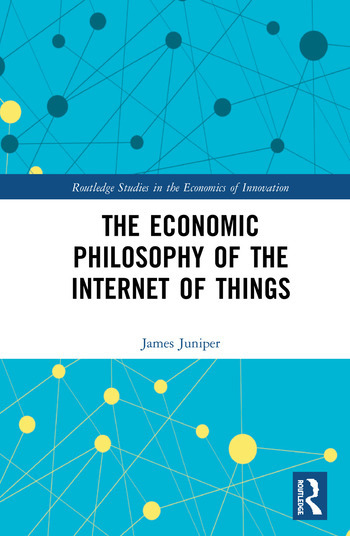 The book provides the context—both philosophical and mathematical—for the construction and application of new, rigorous, and meaningful analytical tools. In terms of social theory, it adopts a Post-Cognitivist approach, the elements of which include the nature philosophy of Schelling, Marx’s critique of political economy, Peircean Pragmatism, Whitehead’s process philosophy, and Merleau-Ponty’s phenomenology of the flesh, along with cognitive scientific notions of embodied cognition and neural Darwinism, as well as more questionable notions of artificial intelligence that are encompassed by the rubric of "perception-and-action-without-intelligence". James Juniper is a lecturer at the University of Newcastle, NSW, Australia.